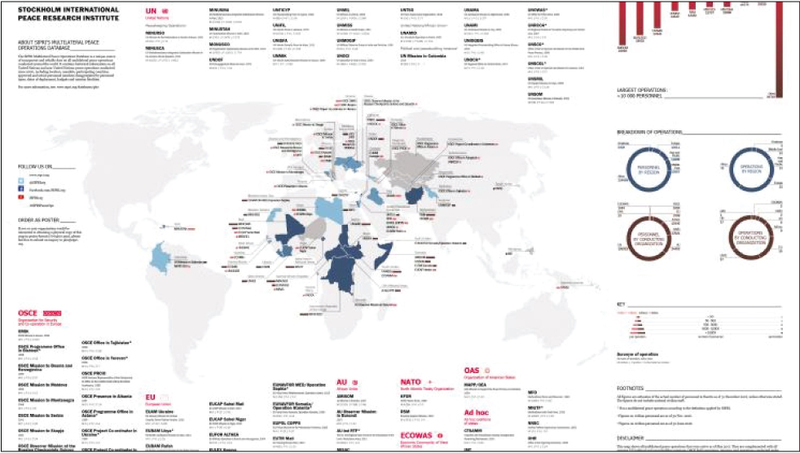 This month SIPRI released new data on multilateral peace operations. The data shows that the number of personnel deployed in peace operations in 2016 was 6 per cent lower than in 2015, even though the number of peace operations remained roughly the same. SIPRI and the Swedish Ministry for Foreign Affairs hosted the fourth annual Stockholm Forum on Peace and Development in May. This year's Forum focused on 'what works' in preventing conflict and sustaining peace, with participants sharing practices and experiences from different contexts. SIPRI Associate Senior Fellow Sten Hagberg presents results from a new study exploring how residents in two Malian municipalities experience and define security. The study is part of SIPRI's ongoing project in Mali aimed at supporting civil society in building sustainable peace in the country. 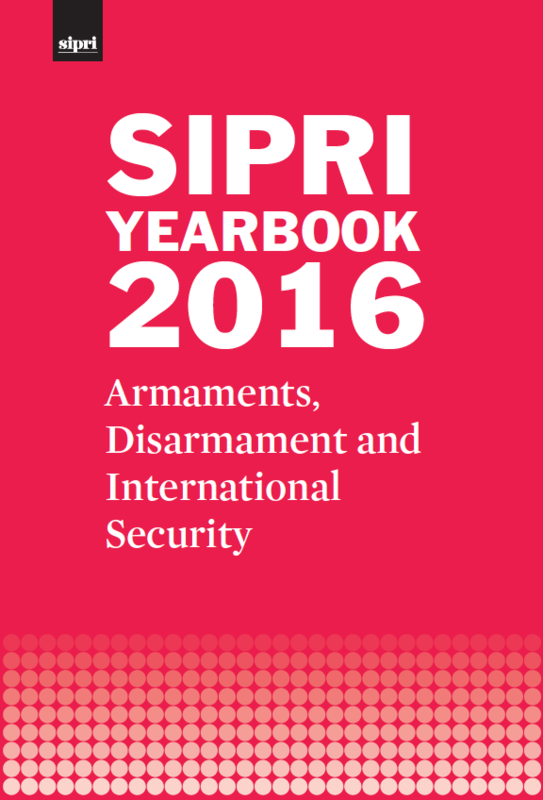 Ahead of a major conference on the Arms Trade Treaty (ATT) to be held later this year, SIPRI hosted an event on the global arms trade and the role that transparency instruments can play in stopping illegal and irresponsible arms transfers. SIPRI and the University of Central Asia concluded a week-long summer school on social cohesion held in Kyrgyzstan. Bringing together experts from four Central Asian countries, the summer school aimed to build capacity among regional academics and practitioners, particularly in the area of data and empirical methods. Given today’s conflicts, political uncertainties and support for nationalism, it is important to be reminded of the benefits that diversity brings to development. This blog post explores old and new research on the links between ethnicity, culture and development. Kyrgyzstan’s experience as a member of the Eurasian Economic Union (EAEU) from mid 2015 to late 2016 has been largely frustrating, although any analysis is complicated by the regional economic and political shocks during this time. In this guest blog post, Maria Osula discusses the African Union's ambitious self-financing programme and how this relates to ownership of peacebuilding inititatives on the continent. SIPRI and the Swedish Riksdag will host the second Stockholm Security Conference, this year with a focus on ‘Secure Cities in an Insecure World’. The conference will gather leading representatives from the political, academic and business worlds, as well as civil society, to explore today's security challenges and opportunities for cities. They will discuss how current global trends and strains—climate change, migration, war, terrorism, crime and technological innovation—affect people in cities, and how can cities respond. SIPRI held an event thanking Ambassador Sven-Olof Petersson for his work as Chair of SIPRI's Governing Board. The event was also an opportunity to welcome Ambassador Jan Eliasson as the new Chair, who formally took up his position on 1 June 2017. SIPRI and the US Department of State hosted a two-day Internal Compliance Programme (ICP) roundtable workshop, focusing on sector- and actor-specific challenges and good practices regarding internal compliance with strategic trade controls. All staff vacancies are announced on the SIPRI website. Engaging China with regard to Arctic development has become more and more appealing for Russia, while China is keen to further strengthen its engagement and role in the Arctic. At first glance, Chinese–Russian cooperation on developing energy resources and sea routes in the Russian Arctic looks like an objective that China and Russia could work on closely together and have complementary interests. This report asks the question: is it that simple? A historical and often overlooked source of uranium for weapons and nuclear power is the extraction of uranium from phosphate fertilizers. In this way, uranium can be acquired legally but in an undeclared fashion, invisible to international commerce and export controls. The fertilizer industry is not normally seen as an industry that enables nuclear weapon acquisition through the use of dual-use equipment, but past events and current international trade practices clearly demonstrate that better-informed export controls and end-user processes are required.